We all have cognitive distortions that make our anxiety, depression, and feelings about ourselves and the world worse! "I bet they're thinking how much they hate me!" or "This will never get better!" All thoughts that are super easy to have, but can make our emotional difficulties and ability to improve our life much harder. 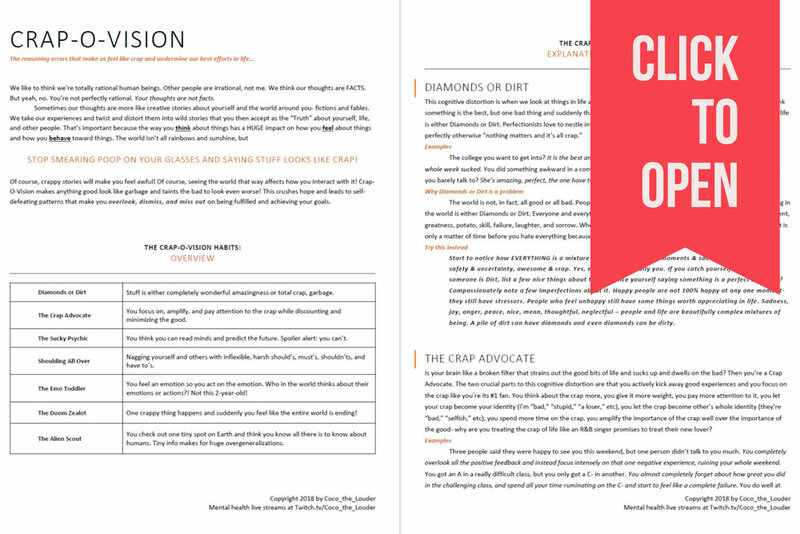 Check out Coco's Crap-O-Vision PDF to learn to fight these maladaptive thoughts.